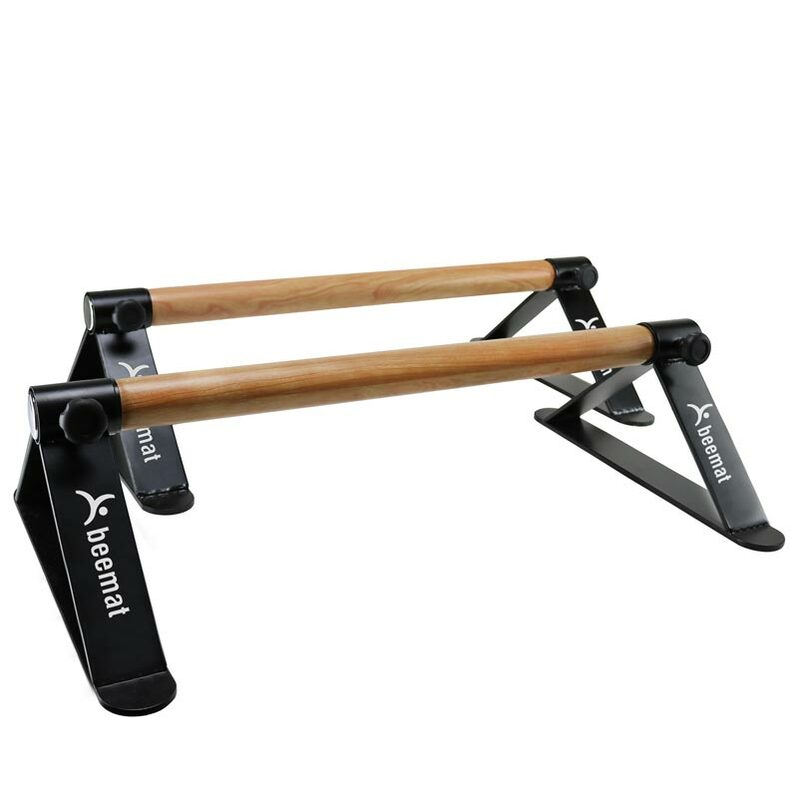 Beemat ® Gymnastic Parallette Bars is a set of two parallette workout bars for gymnastics. The bars measure 24 inches long and 6 inches high. Constructed of 1.5-inch diameter steel and a steel frame. Compact design for easy transportation and storage. 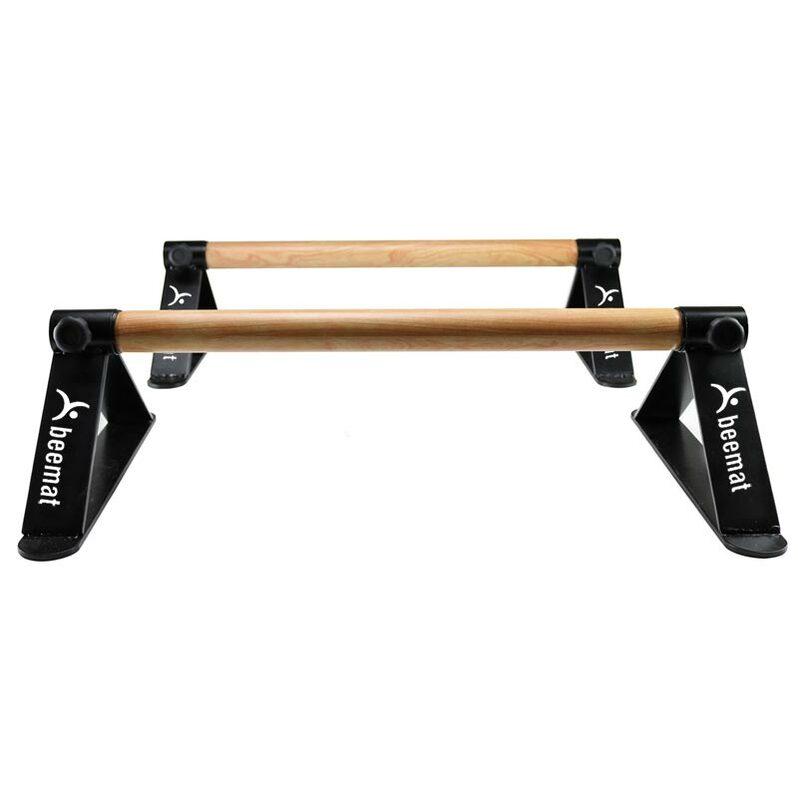 Can be used for home, commercial use for a variety of exercises and gymnastic training. 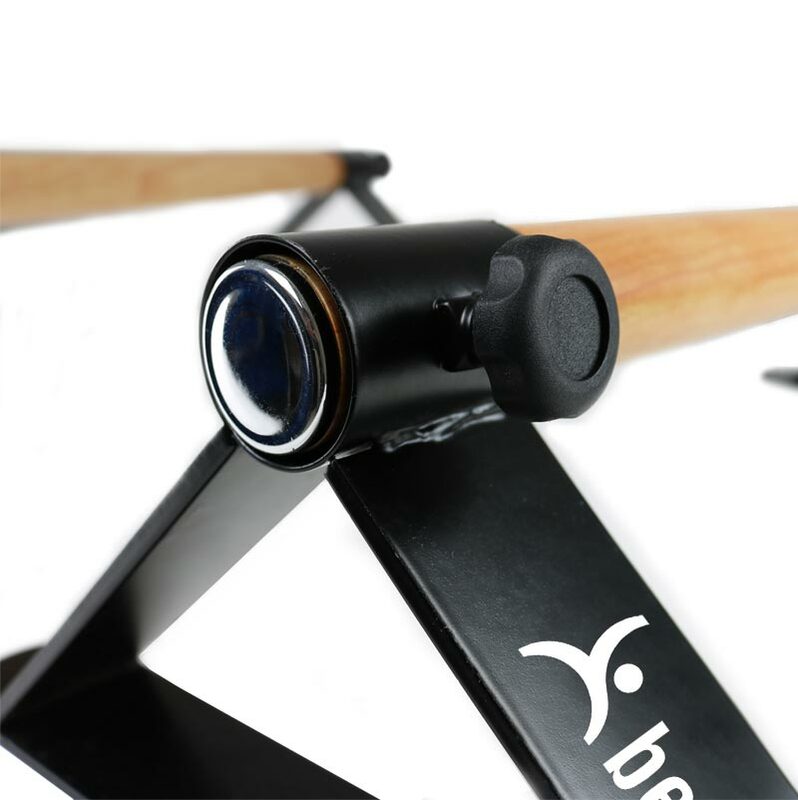 The overall height of the bars are 6.5 inches, and each pair support up to 150kg. Ideal for Gymnastics, Cross Fit HIIT style exercises.